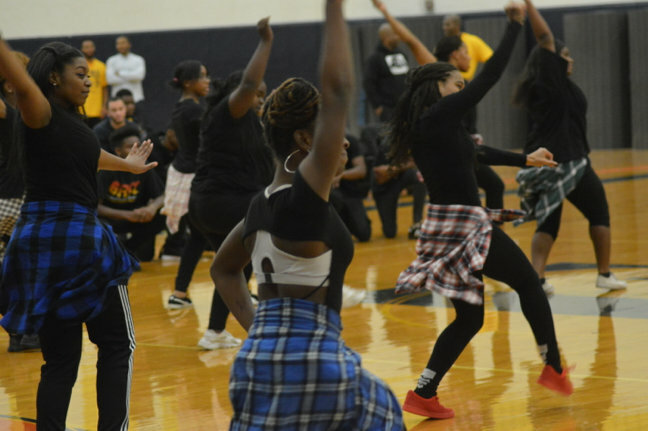 Added by Bill Bowman on November 22, 2016. 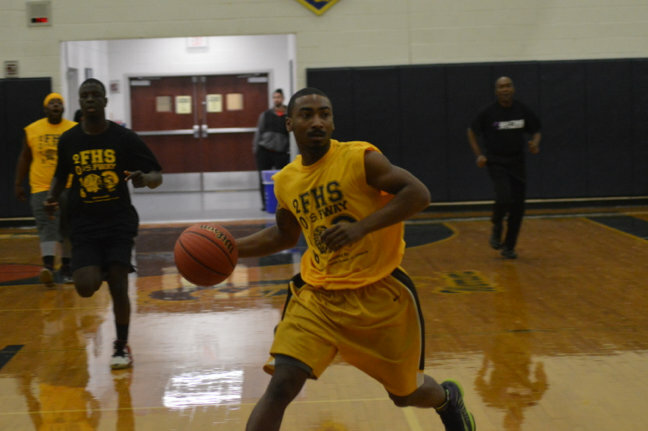 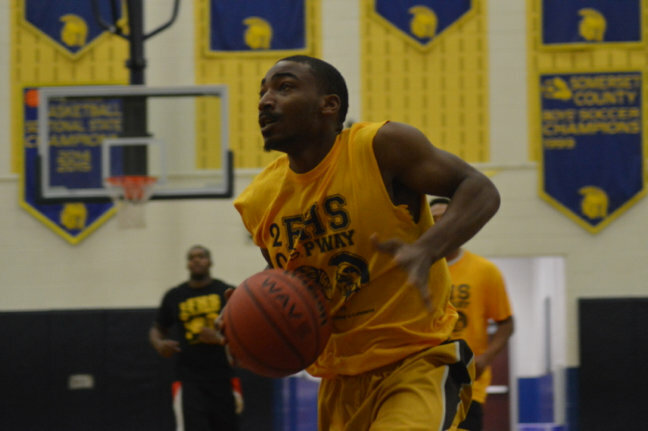 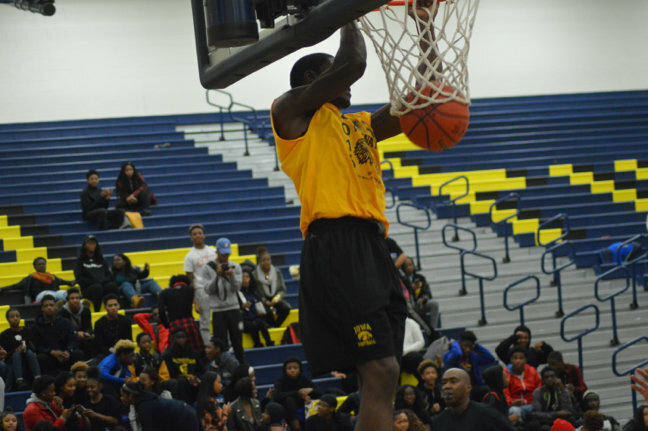 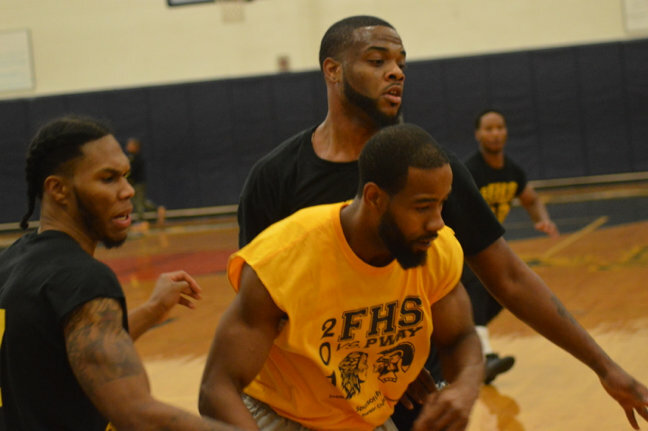 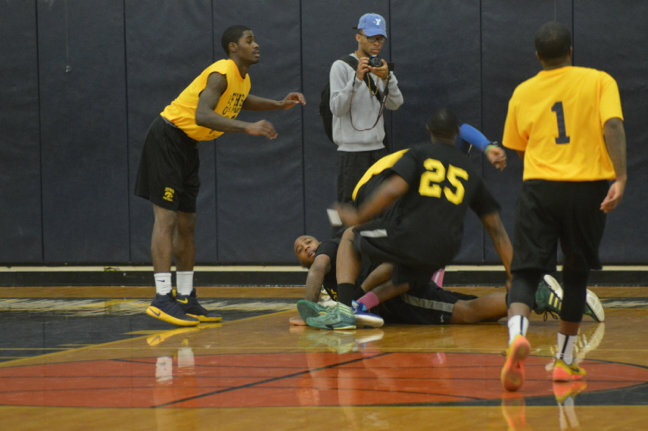 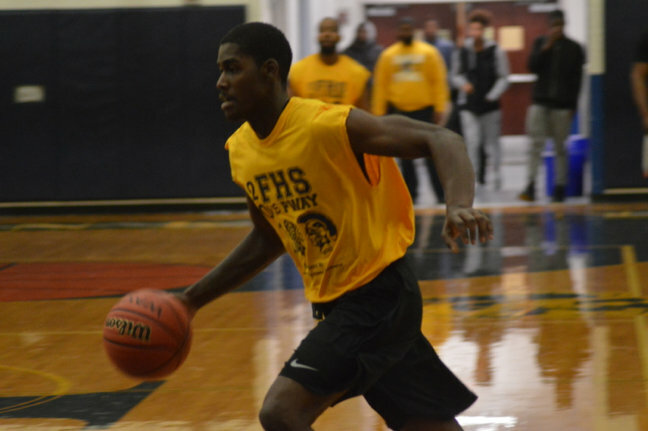 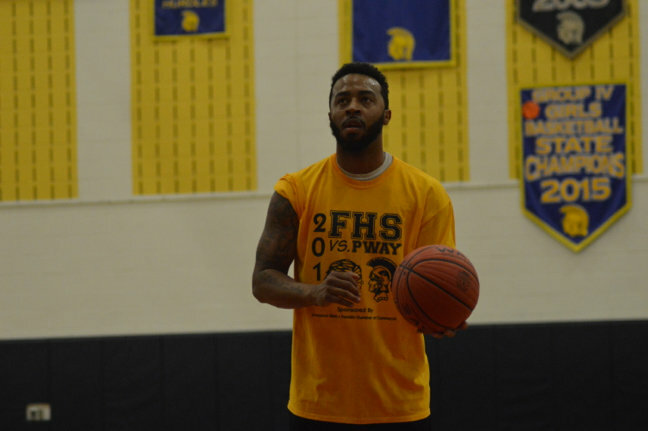 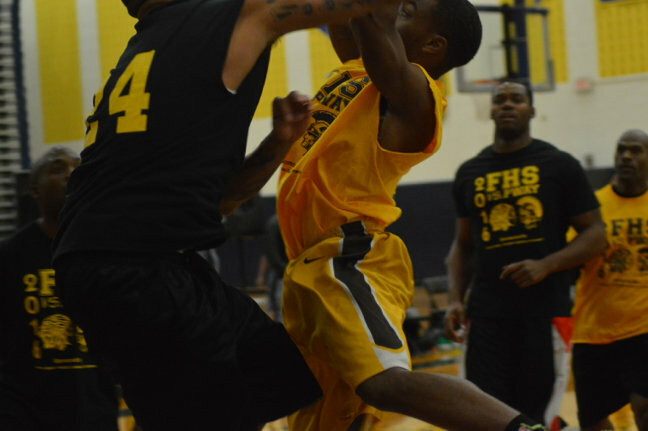 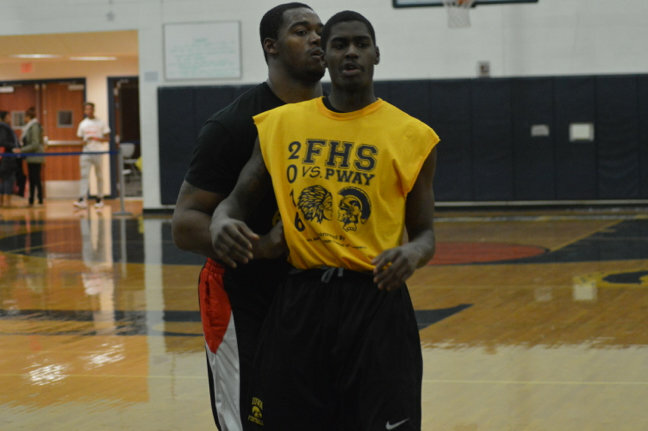 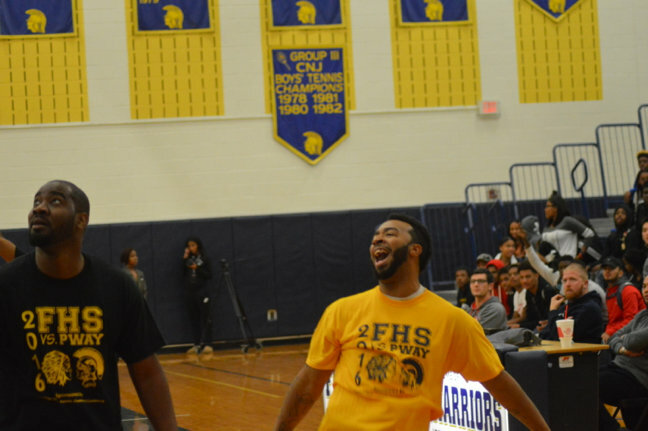 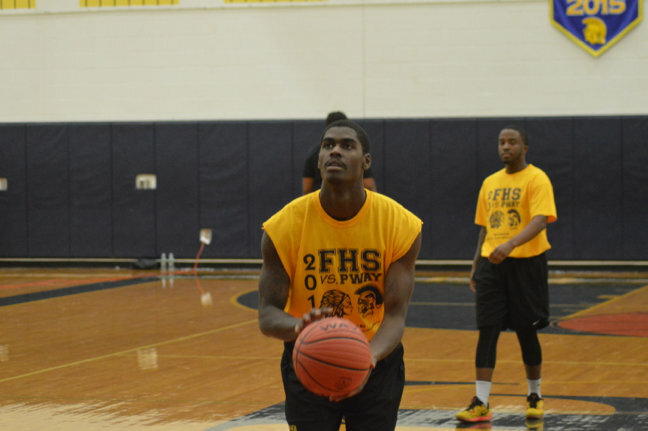 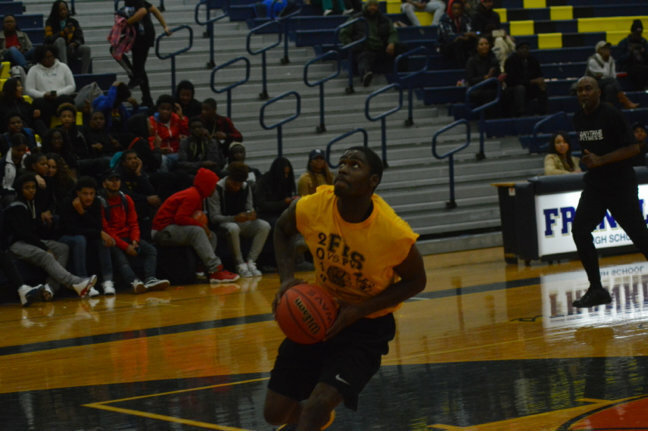 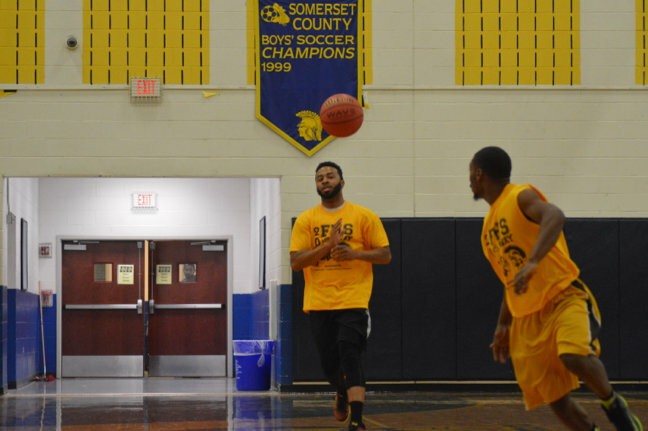 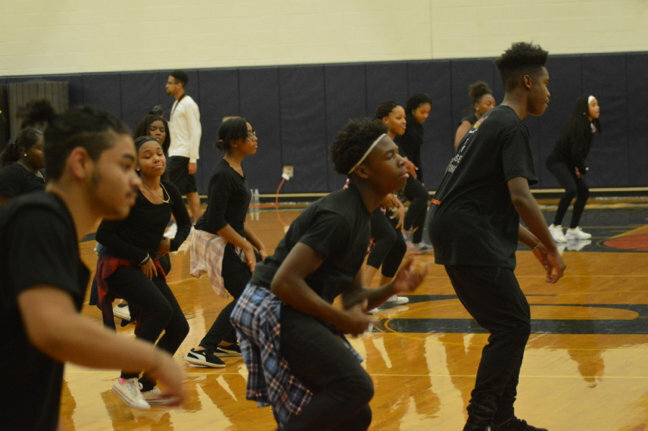 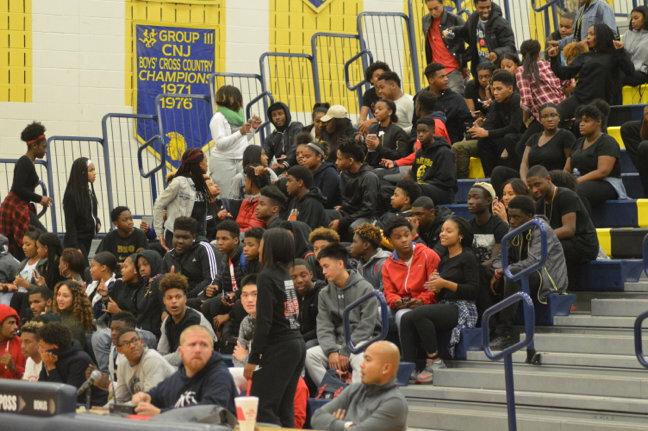 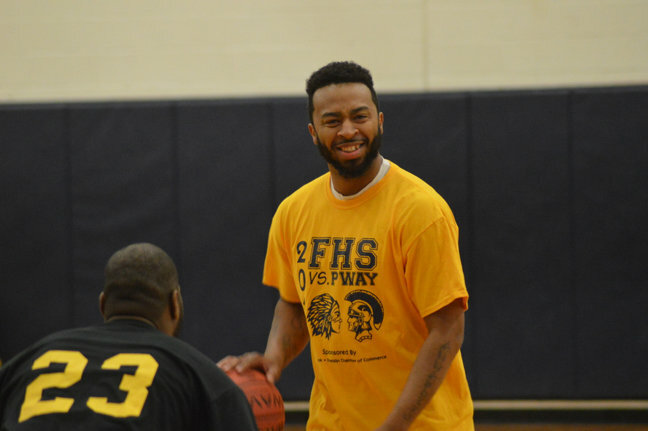 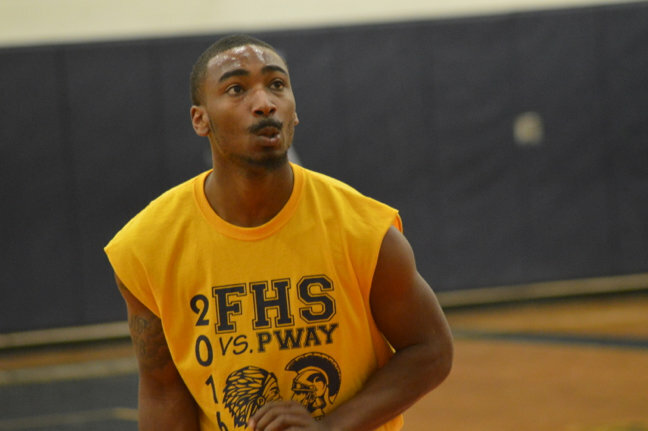 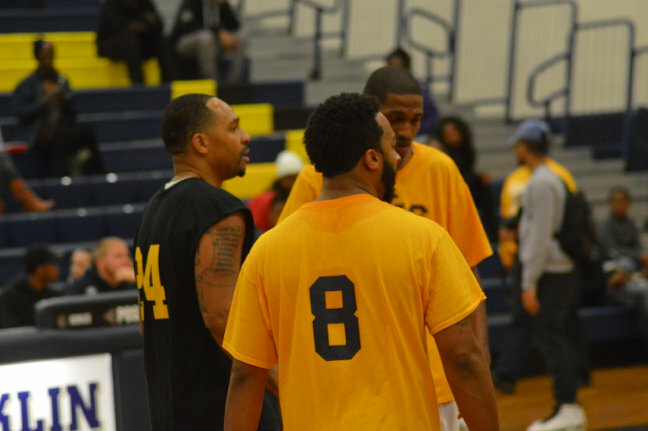 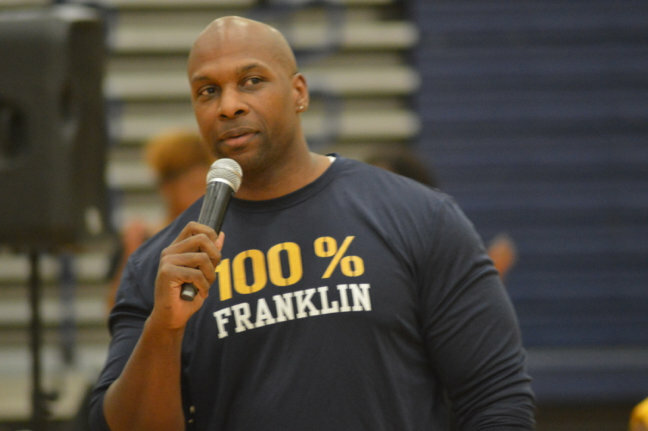 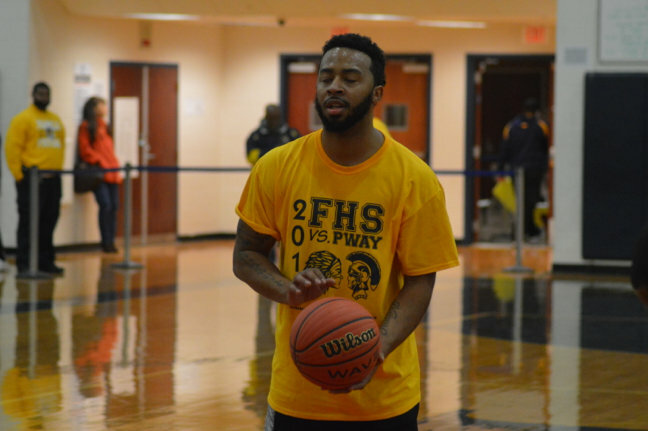 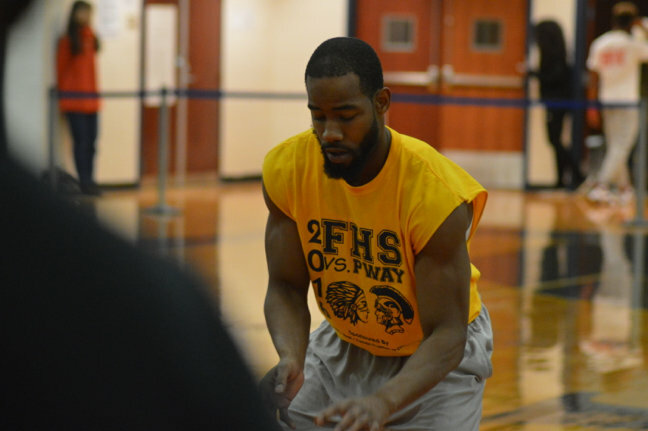 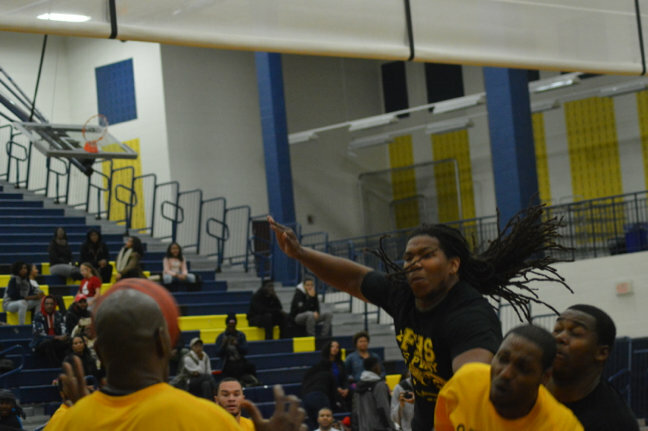 Franklin High School basketball alumni beat their counterparts from Piscataway High School Nov. 21 in the second annual watch between the two teams. 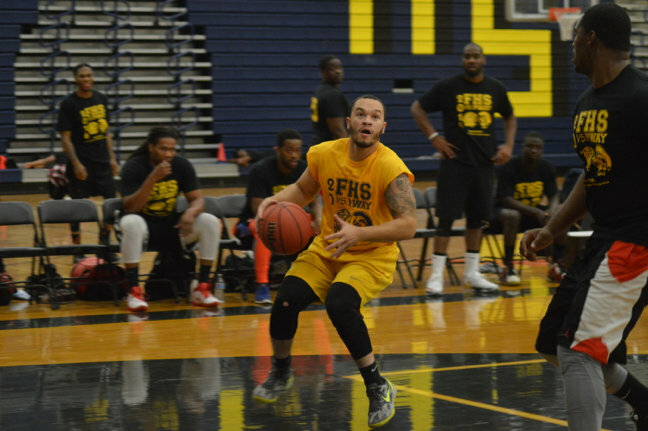 After being tied at 52 point each after the third quarter, the Warriors found themselves down by as much as 7 points to the Superchiefs. 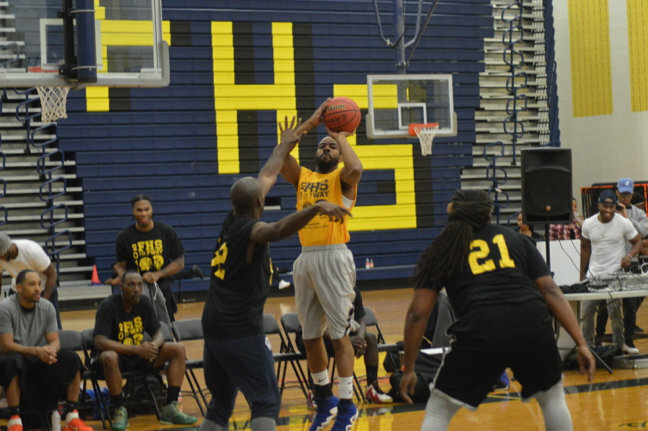 But they fought back and closed the gap, after which both teams traded the lad before the Warriors took the final lead, winning 68-64. 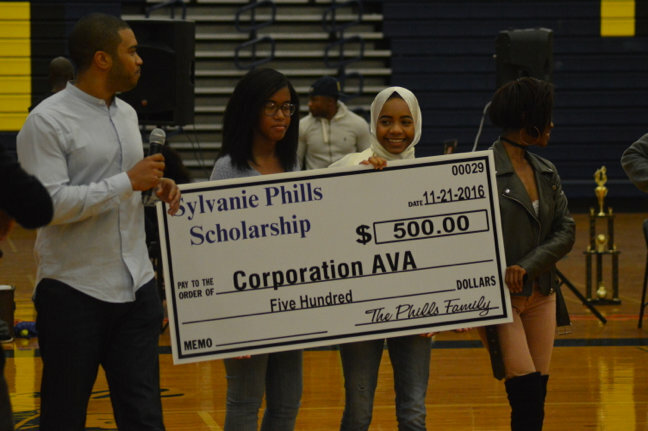 Scholarships were awarded to two teams of students for their audio-visual work. 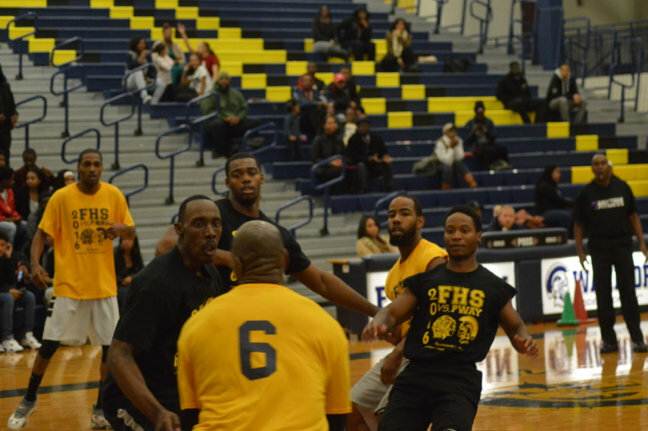 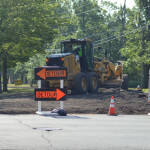 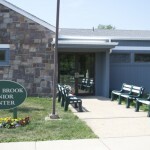 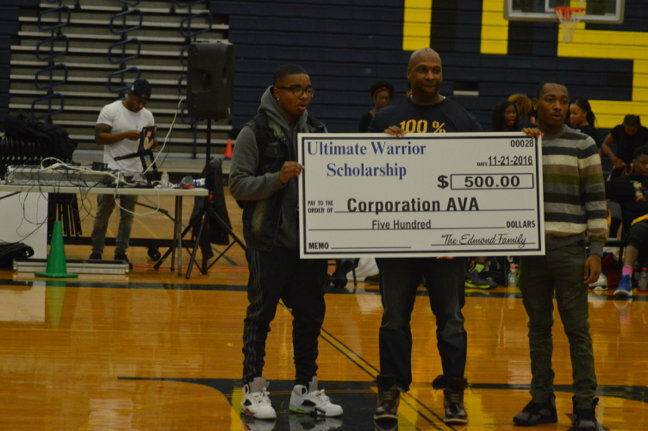 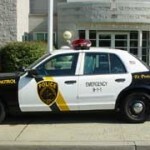 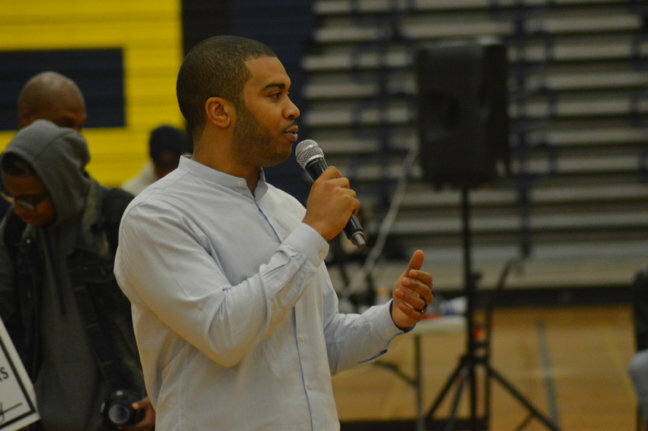 The scholarships – $500 each – were donated by Daryl Phills, Class of ’96 and Robert Edmund, Class of ’95. 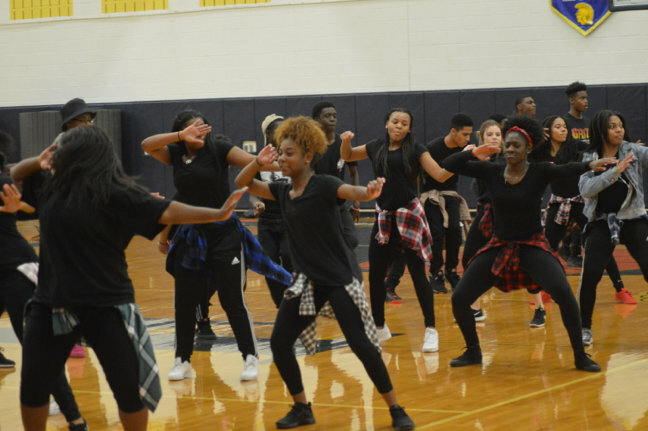 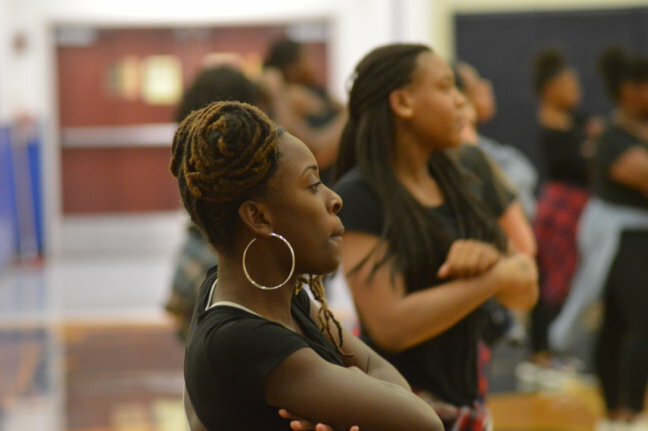 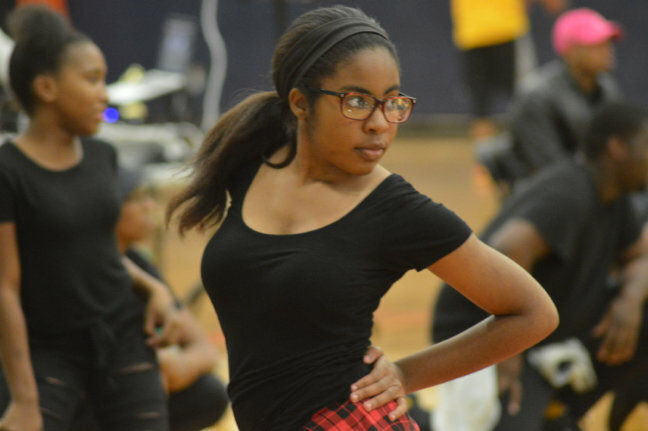 The scholarships were announced at halftime, after which the FHS dance team performed.